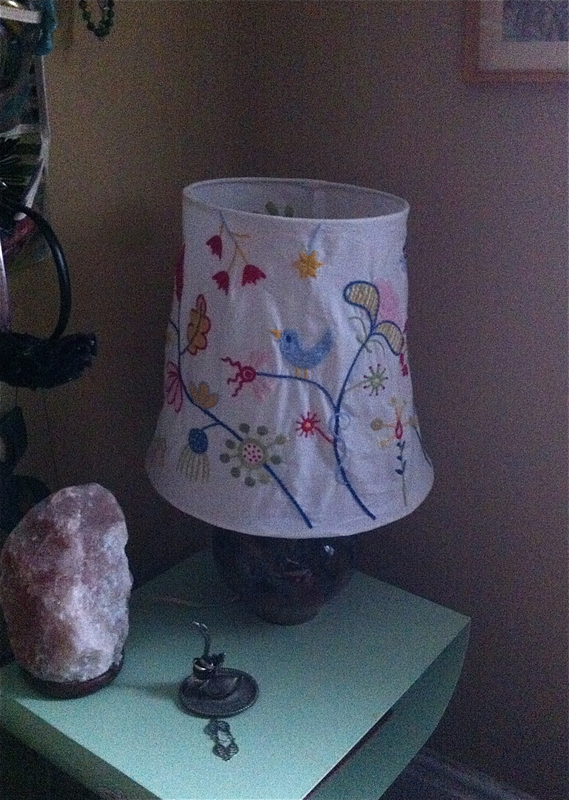 I found this Ikea Alfhild Fagel embroidered lamp shade on the side walk. I’m a sucker for embroidery and had just bin on a pinterest bender pinning examples of Mexican Otomi embroidery to my boards. I used it to replace the too small shade I had on this art pottery base. Know I have a too big shade, but I like it.